If you talk to many parents of tweens and teens you may be surprised to learn that a portion of them actually cringe at thought of their child becoming popular. For many folks popularity signifies risk taking and maybe even danger. They envision the popular group drinking at parities or drag racing around town. The popular tweens are often depicted as mean and sometimes downright cruel. Now keep in mind that this picture has been painted in part by Hollywood. Tween and teen flicks seem to relish in the idea that the popular crowd is often up to no good. 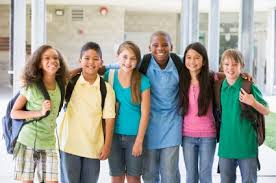 Regardless of where your tween or teen sits in the school pecking order, peer pressure is a part of middle and high school life, a strong communicative relationship with your child offers the best opportunity to ensure that his/her judgments are sound. Although the pressure to fit in with friends can be strong, the values and lessons you teach directly and by practicing what you preach can have a greater impact on your tween or teen than she may acknowledge. In reality then, it is not necessarily the peer pressure that comes along with being popular that can cause your tween or teen to engage in high-risk behaviors. Tweens and teens are more likely to engage in high-risk behaviors when they lack the support and guidance from their parents. The power of a positive relationship with your tween or teen cannot be underscored enough.